Paying tribute to the traditions or simply decoratingadjoining land, the owners of suburban real estate is decorated wells wooden houses of different shapes, from simple tie-back of the roof with a door to a very solid log, resembling a gazebo. Dozens of companies offer luxury products with carved elements in the form of animals and openwork ornament, but it is much nicer to build cottages near the original home for the well with their hands. 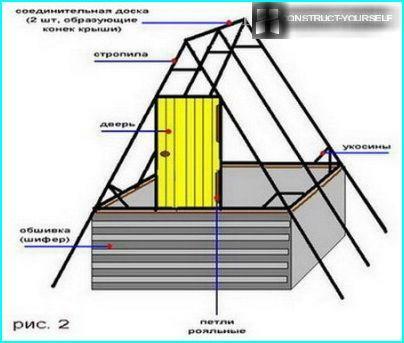 The walls of the timber or broad roof and have a practical orientation: they protect the water in the mine pit from falling debris that entered the wind. From a security standpoint house it is also important: it serves as a barrier to children and animals. 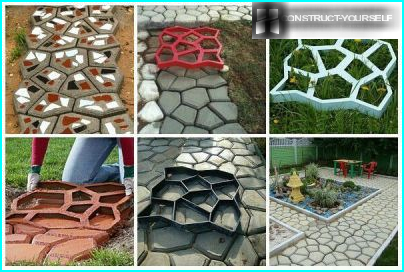 Consider a few projects of structures made of wood - natural, beautiful material, which is very easy and pleasant to work with. level, pencil, tape measure (at least 3 meters). 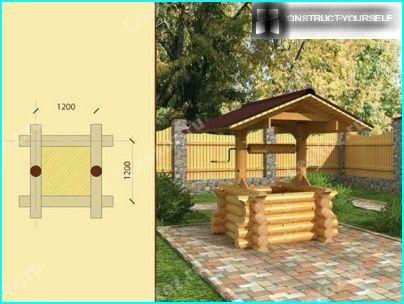 Pre-made house drawings for the well and carrying out some simple calculations, you can prepare in advance for the construction material. hinges, latch and handle (if doors). All wooden parts must be fit to size, sanded, treated by protective structures. Impregnated with antiseptics and lacquered wood looks better and lasts longer. So, building a house, the roof of the well orwell, from which water is fed into the house via the pumping station. This is a small room to protect the tip of manhole rings and the door is required to control the operation of the pump, as well as to clean and disinfect. The main material for the frame apparatus - beam, andEdged boards. Too bulky parts make the structure bulky, too thin - a fragile, so you should focus on medium settings: beam section - 80 mm x 100 mm, thickness of the boards - 40 mm. It is necessary to prepare a four rack 8 cm wide and four-edged boards, suitable for the top and bottom strapping, width 12 cm. Boards of advance saw off in size, then the details of studs in turn nailed to the posts, to result in a smooth and reliable framework. Note the hardware: nail length should be such that they are firmly connected the two parts - about 10 cm. The frame is easiest to collect in the followingsequence: first to join the top and bottom boards of the two legs, and then in the same manner to bond the remaining two legs, both of well construction positioned around the shaft, and finally they interconnect harness. For this project, you can build it quickly and from the materials at hand, since virtually all of them - boards, beams - remain in the country during the construction of your home or baths. 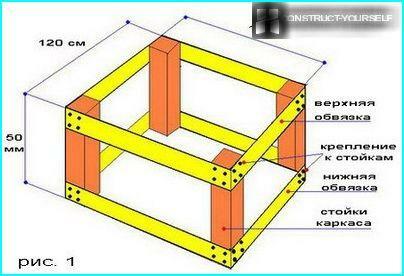 Construction should start with the roof unittruss - a rigid structure, which will be attached crate. It is better to choose a sufficiently strong boards (thickness not less than 3 cm), 180 cm in length - the length of the board will depend on the height of buildings. For mounting bolts and struts require less board thickness - 2.5 cm. 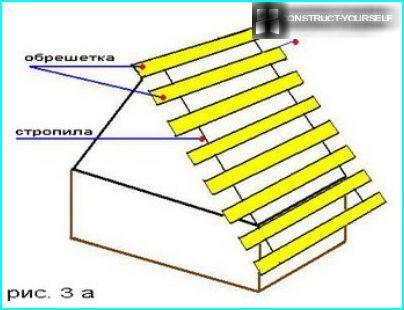 Jib should be 8 pieces of roof details - 6 pieces, crossbars - 3 pieces, each the length - 30 cm. After cutting the rafters at an angle, their upper endsinterconnected. As a self-tapping fastener used. Additionally fix the location of the trusses will bolt, attached to 30 cm below the top point. Better action to produce, putting parts on the ground. On the rafters make a cutout in the place where they will be connected with the upper trim boards. Connect the frame and trusses using nails (12 cm long). Installation of rafters reinforce installing gantries. Trusses connected via the ridge kind - two boards, which lath is mounted in the future. 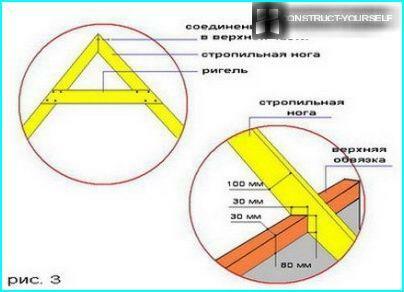 The interval between the elements battens - 13-15 cm protrusions on both the structure of the walls -. 10 cm. Built a roof covered with roofing material. On the slate roofing material is mounted a special fixture. Designated corner joints cover wind boards. The door to the house - a kind of wooden shield, whichproduced in a simple manner. 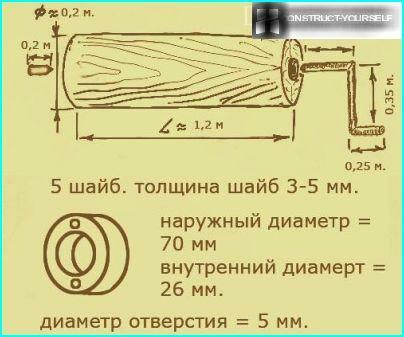 Boards cut length of 85 cm and a width of 15-20 cm, are folded to one another and fastened together with a section of wooden bars 2.5 cm x 3 cm suffices two bars -. One below and one above. 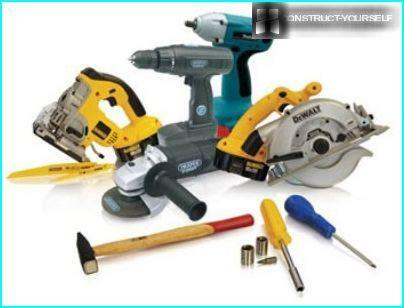 As the use of fasteners screws, on each board for 4 pieces. To the door when moving retains its shape, and the board does not "walked" on the diagonal nailing another block - for rigidity. After plating gables nailed a pen andlock, then hang the door on piano hinges. Finishing phase - processing boards from the outside of the protective means against mold and mildew, paint varnish or a special paint for wood to match the neighboring buildings. 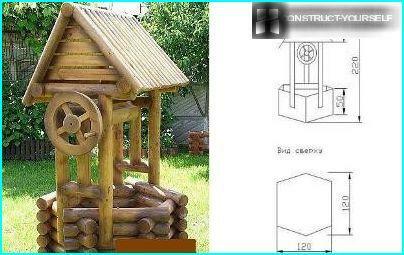 The next creation - a house for the well of the timber,designed in classic rustic style. 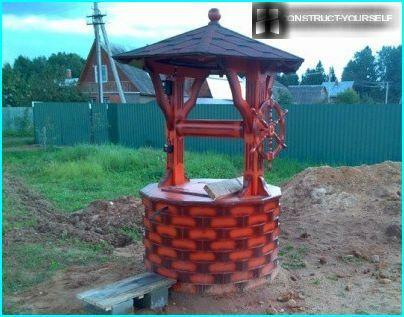 This design can be well seen in the Russian villages. 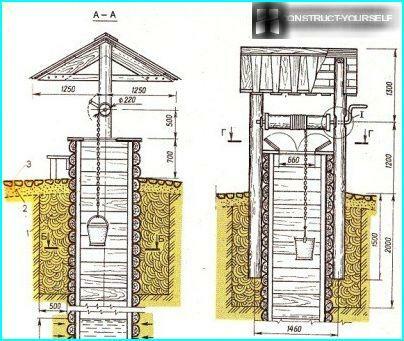 Of logs stacked in a small log house - on the size of the well, on top of two massive pillars erected extensive roof and set a goal to raise the bucket with water. 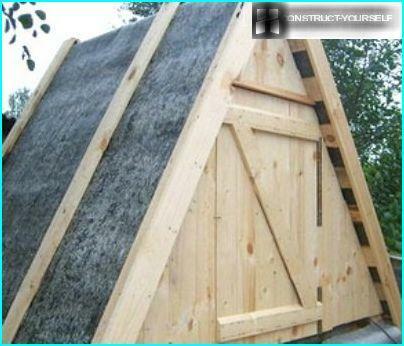 The edges of the roof extend beyond the log, so that rain water does not leak into the well. For the stability of the rack are provided with small props, which also play a decorative role. The protruding ends of logs have shaped cutouts that serve as building decoration. The roof is covered with waterproofing material of bright color. material for the gate with a handle. This house - the previous version of the structure withsome features. It differs in that the frame is not traditionally rectangular and hexagonal. Roof slope vary in length, so it has an asymmetrical look. Well small in size, but its compact size allows you to use a structure with a deficit of space. The practical and decorative element at the same time serves as a wheel of wood. This house can be used for mine clearance to the pump, or simply to decorate the local area. the tree from all sides vlagozaschischayuschim processed composition. Decorate building in several ways. 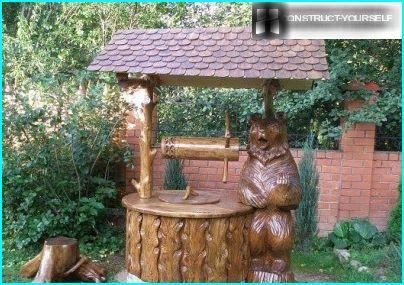 The traditional way to decorate buildings of wood is carved. Neat house carved for decoration well in the classical Russian style suitable for all suburban areas, where during the construction of the main house was used tree. Dressing takes place by means of stainingwood in various colors. 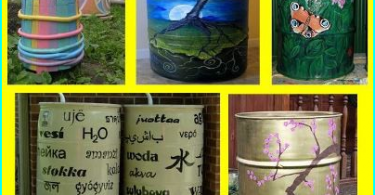 Applying or impregnating varnish of different colors, you can make the structure completely opposite hues - from sunny yellow or bleached to dark brown, deliberately aged. Sometimes additional wooden house set decoration - a wooden or ceramic figurines of animals. 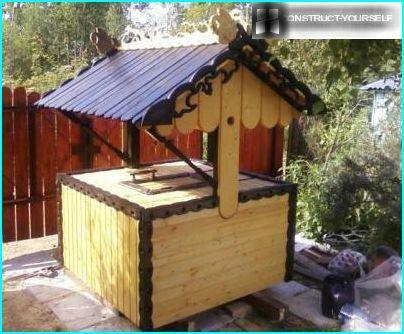 Of course, any dacha construction - is not just adecor, but also the embodiment of human attitudes and tastes, so each owner knows how to make a house for the well so as to be practically useful and reflects the personality of the owner.